Summer is barbecue season in the states. We have Memorial Day, family reunions, Independence Day, and Labor Day. All of these summer activities are perfect for barbecuing. Chicken, hot dogs, brats, steak, ribs, pork chops, baked beans- we want to make sure we have enough for everyone. Sometimes, we over plan and over cook. All of that leftover barbecued meat is expensive. You don't want to throw it away. When microwaved, it doesn't taste so good. You need some leftover BBQ meat recipes. Leftover BBQ meat stew is good, but most kids don't like stew. What's a poor cook to do? 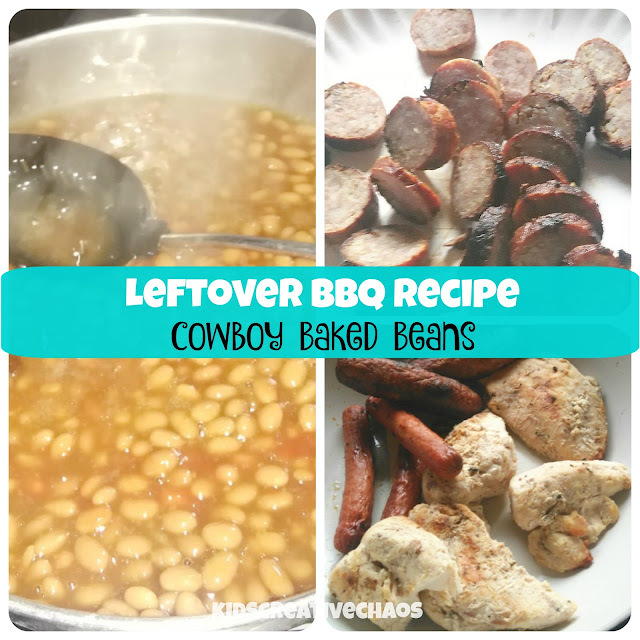 We've got a roundup of leftover recipes for barbecued meat including some yummy Cowboy Baked Beans. Enjoy! 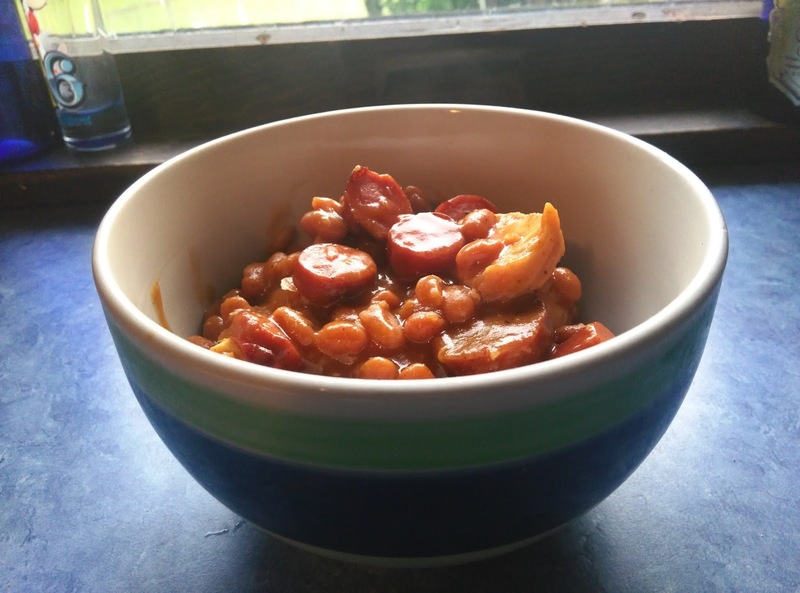 Easy weeknight recipe: Easy Cowboy Baked Beans from leftover BBQ. The day after an outdoor barbecue, you may find yourself inundated with leftovers: leftover beans, leftover meats, and cooked veggies. The meat is dried out. It doesn't taste so great on day number two, what can you do? Turn those leftovers into Cowboy Baked Beans. These are super easy to make! Take your leftover meats and cut them into bite size pieces. Use leftover baked beans- if you don't have baked beans, use canned baked beans. Simmer the beans over low heat. If the beans are flavored, you don't need to do anything else for a super easy weeknight dinner. We like to add 1/2 C. Barbecue Sauce to 2 - 16 oz. cans of baked beans. If you really want to eat like a cowboy on the ranch, add 2 Tbs. of Molasses. Next, add the chopped leftover meat from your barbecue. If you like onions, add 1/4 C. chopped onion. Stir until combined. Stew over medium heat until bubbly. Turn heat down and simmer another 5 minutes. Sprinkle shredded Colby Jack Cheese over top of beans. Serve warm with a side of sourdough bread. Cowboy Baked Beans from leftovers.